Quick direct kite which is suitable for freestyle but also wave action. Key features are it's large windrange, depwer and stability in combination with a C-Shape feel. If you are an advanced rider this kite is absolutely worth a try! Takoon has strong links to Wipika, the company that first developed and produced tube kites for kitesurfing. The Takoon has charactersitcs that make it suitable for wave action; short turning circle anywhere in the wind window, enough depower, gradual power buildup and a tremendou high end. An improved low-end and a bit more stability would improve the kite even further, in p-articular the low-end, simply because in the waves you would like a kite that is as small as possible. 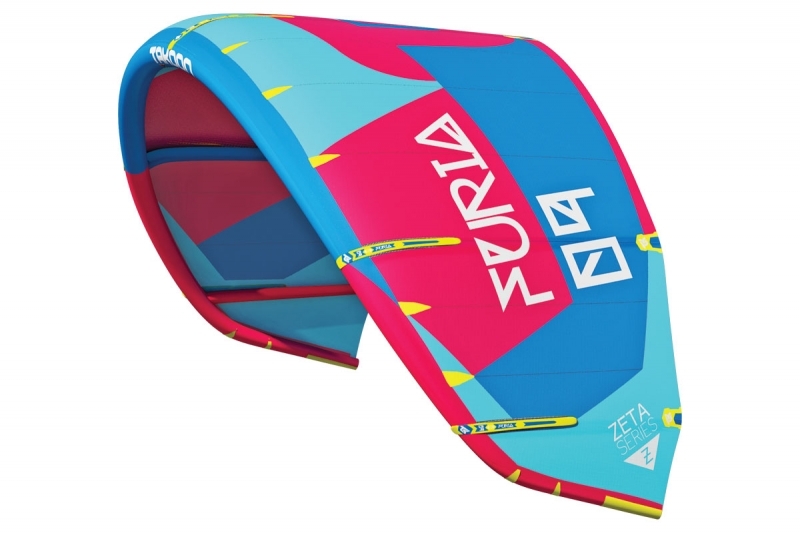 We tested the Furia in stormy conditions, the kite proved itself to be a predictable kite. However, on the edge of the wind-window the kite was somewhat unstable. We have a few doubts about the durability of the materials used. In the short time we used the kite we allready saw signs of wear, but no problems during the test. Takoon knows how to make kites, that much is sure. It shows that they took a lot of knowledge from Wipika in their development. The choice of materials, the finish quality and the durability, we believe, can be improved. The glide phase of the Furia can ben increased by powering the kite. Control remains anywhere in the window. Lift is gradual, power the kite and you get instant lift. Stable in power, but the profile is flexible and not as rigid as one would like.